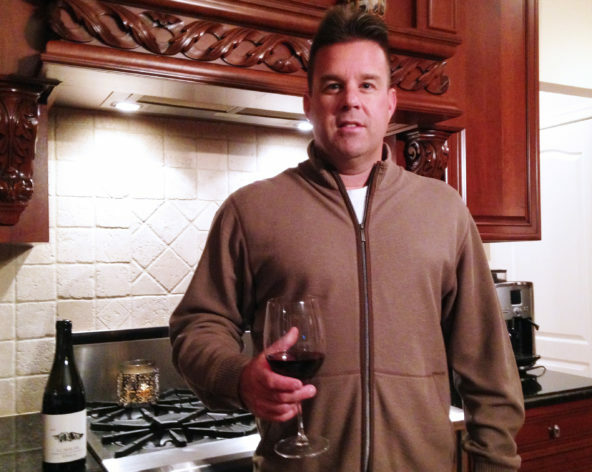 A Wine Enthusiast’s Step-by-Step Beginner’s Guide to Importing Wine | Samuel Shapiro & Company, Inc.
Colin Chapman, Shapiro’s Regional Director of Commercial Development and wine enthusiast, enjoys a glass of Casa Castillo El Molar 2010, from Spain's Jumilla region. As a lover of all wines good and as a budding hobbyist and neophyte collector of Italian (Piedmont, Tuscany, and Umbria regions), French (Rhone region), Spanish (Murcia and Rioja regions), and Washington State (Columbia Valley) varietals, I can’t seem to get enough of the culture, industry personalities, and business mechanics of my new found passion. When Shapiro asked that I become more involved in the commercial pursuit of those who import this wonderful stuff, I gladly dove right in. Shapiro has been handling wine entries for many decades, but over the past 10 months, it seems that through referral, reputation, and an overall appreciation of the Shapiro compliance persona, we have been working with an increasing number of clients who are importing wine for the first time. Here, I’m sharing with you key initial compliance steps as well as an overview of other relevant details/resources involved in becoming a wine importer. Need help importing wine? Contact us to ask for help. After developing a solid business and marketing plan, gaining the adequate financing, and identifying and targeting the appropriate suppliers and customers (a gross oversimplification), it’s time to obtain the proper credentials to ultimately import this wonderfully delicious commodity. EIN- Employer Identification Number: This is a prerequisite for getting a Federal import permit and also necessary for opening up a bank account for any entity other than a sole-proprietorship. An EIN can be obtained on-line fairly easily at the IRS website. Federal Importer Basic Permit: The first industry license required to be obtained and also the most important. The TTB (Alcohol and Trade Tax Bureau) requires that you have a letter from a winery willing to export to you before you can apply. The application and instructions can be found on the TBB website and takes about 60 days for processing under normal circumstances. Certificate of Label Application (COLAs) On-Line: Once an importer receives their Basic Permit, they should immediately apply for access to on-line submission of their Certificate of Label Application (COLA). This simple one page form is free of charge and takes approximately 30 days and is ready for the importer when they have labels to present. Home State Licenses: Each state can radically differ when it comes to their licensing requirements. I recommend you visit TBB’s Alcohol Beverage Control Boards web page to learn more about individual state licensing requirements. FDA Product Registration: As an importer, you’ll need the Food & Drug Administration (FDA) registration number from each supplier (which the suppliers should already have if they are already shipping to the U.S.) and for yourself as a company if you will be storing the wine at your own facility. This registration process is a free of charge service. More information may be found on the FDA’s Registration of Food Facilities web page. Broker Power of Attorney: In order to have a Customs broker act on the behalf of an importer, a Broker Power of Attorney must be executed by an officer of the company that will be looking to import. This relatively simple document is a requirement and a fairly easy step to complete in the initial compliance process. Note: Brokers can act on behalf of importers by clearing their cargo with U.S. Customs and Border Protection (CBP) as well as with other relevant government agencies such as FDA and Bureau of Alcohol, Tobacco, Firearms and Explosives (ATF), for example. Customs Continuous Bond: CBP requires that all formal entries be backed by a valid bond or surety. The validity of a Continuous Bond is 12 consecutive months from bond inception date. A Continuous Bond can be purchased from Shapiro, or typically from most Customs brokers. Ex Works (Ex Cellar): Means that the seller delivers when he places the goods at the disposal of the buyer at the seller’s premises or another named place (i.e. works, factory, warehouse, etc.) not cleared for export and not loaded on any collecting vehicle. This term thus represents the minimum obligation for the seller, and the buyer has to bear all costs and risks involved in taking the goods from the seller’s premises. FOB: Means that the seller delivers when the goods are loaded on board a vessel at the named port of shipment. This means that the buyer has to bear all costs and risks of loss or damage to the goods from that point. The FOB term requires the seller to clear the goods for export. This term is valid for vessel shipments only. If the cargo is delivered to the carrier by the seller before the goods are loaded on board the vessel, then the FCA term should be used. CIF: Means that the seller delivers when the goods are loaded on board a vessel at the named port of shipment. The seller must pay the costs and freight necessary to bring the goods to the named port of destination BUT the risk of loss or damage to the goods, as well as any additional costs due to events occurring after the time of delivery, are transferred from the seller to the buyer when the goods are loaded onto the vessel. The CIF term requires the seller to clear the goods for export and to provide minimum insurance cover. This term is valid for vessel shipments only. 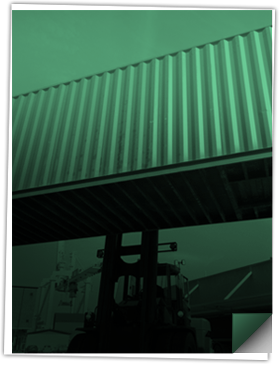 If the cargo is delivered to the carrier by the seller before the goods are loaded on board the vessel, then the CIP term should be used. 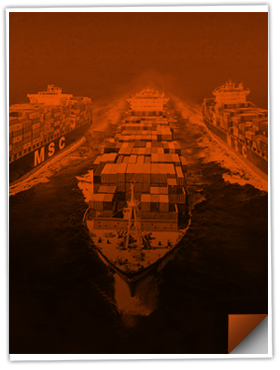 For more information on INCOTERMS, please visit Shapiro’s resource page and download our printable 2010 Easy Inco Incoterm guide. In addition to the above resources, I’d also like to recommend Deborah M. Gray’s book, “How to Import Wine, An insider’s Guide.” Gray does a great job explaining the realities of getting a wine import business off the ground and covers everything from building a business model to purchasing, marketing, and supply chain strategies. I would say this is a must read for those considering getting into the business. Many of the resources listed above come directly from her book. Do you have any tips to share? What lessons have you learned as a wine importer? Thank you for precious information, I’m looking into exporting wine to the USA. We are so glad our blog is helpful in facilitating your new business venture! Thank you for taking the time to do that. Its all a little over-whelming, and you really save me a lot of stress. Best of luck in your business Victor! So glad the information was helpful. Hey and thanks for the information! I was wondering if you knew an estimated dollar amount of obtaining all the necessary licensing. We are so glad you enjoyed the article! Unfortunately, we are unable to provide you with an estimated dollar amount since alcohol is also regulated at the state level. Although we cannot provide you with the cost, there are links throughout the blog to various source websites that can help initiate the process such as applying for an EIN, and applying for your home state license. Thank you so much for this very helpful article. Will certainly keep Shapiro in mind for future business opportunities ! In the meantime, I wonder if you could help me understand roughly how long should the whole process take for importing wine from the EC, i.e from the moment we select an existing (and operational) wine importer in the State of New York to the moment when the shipping can be given the go ahead. Based on your note, I am calculating 4 months max from end of June 2015 (perhaps even a little less ?) Correct ? Again, thank you for your help & best regards. Luc. We are so glad that you found the information to be beneficial, and we would be more than happy to help in any way that we can in the future. We’d like to clarify what information you are seeking though. Are trying to import wine into the U.S. from another country? If so, based on our experience working with other first-time wine importers, 3-6 months would be an accurate estimate of time it would take in order to have everything set up properly. This depends on numerous factors, but based on the timelines outlined in the article, it typically takes 60 days for Federal Importer Basic Permit and 30 days for the Certificate of Label Application. We would also recommend adding some buffer time to account for any delays or other paperwork that would need to be completed. Hope this additional information help! Thanks for putting together all the great information. Much like you I have found a love and passion for great wines. We are going to be launching a Spain exclusive food, wine and more store online very soon and I found this page to be very helpful. Look forward to many trips to the Ribera Del Duero valley! Thanks again! We are so glad you enjoyed the information! Good luck with your online food and wine store and please let us know if we can help with anything at all. Great check list to ensure I covered everything needed to ship the wine. Thank you. Any tips on finding buyers for some amazingly good wines from Herzegovina. We’re so happy you enjoyed the blog post! We are not able to recommend suppliers for your wine imports, but there are resources online that may be able to assist you in finding a viable supplier. Thank you for the great article! Question, What will be the average cost for all the permit? We’re so happy you enjoyed the information! It’s hard to determine an average cost for all of the permits/licenses required to import wine since there are many factors to consider. Some of the fees will be standard across the board while others are free and simply require registration with the applicable agency, but depending on the home state licensing requirements and customs brokerage fees, the average cost will vary. 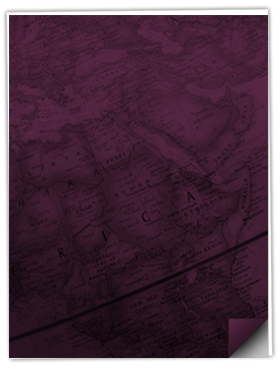 We recommend that you visit the links provided, if you haven’t already, for more information on the all of the costs associated with starting your wine importing endeavor. What’s the best business entity type for a US based wine importing business with a partner who lives in the import country which is not the US? Also, we live in California, and want to import to California, so does that mean that our business license has to reside in California as well? For instance, we couldn’t create a Delaware company? Also, is LLC the best option for this international company? Who would you recommend I speak with to get advice on this topic. Since the laws and restrictions vary from state-to-state, we recommend that you research the requirements for any states in which you plan to sell your product. We’ve included a link below that covers the licensing requirements for each state. In situations like yours, some importers hire a lawyer in the beginning phases to ensure the company is set up properly to operate in the state in which you will operate. We can assist with the importation of wine and spirits, but you will need to confirm your company is compliant with federal and state requirements in order to sell the product once it is brought to the U.S.
Good luck and please let us know if we assist with anything else! Hello and thank you for this informative article. Do you know, if i am planning to operate as a sole proprietorship, is an EIN number still a requirement in order to import? It would be needed for a Federal Import Permit? Also, i am curious about forming an LLC and how that might be an easier way to sell other peoples wines – sort of a co-op for wine-sellers. i have yet to research this idea, and feel i really need to start local and as i get my feet wet i will have a better feeling for what i need to do in order to grow, but if you have any thoughts i would love to hear them. Thanks for reaching out and we’re glad to hear you like the blog! Applying for an EIN would benefit you in the long run if you plan on operating this business long term and I have included the link below for you to apply. As far as the local state regulations, you will need to research independently using the resources we have provided to see what is required for the state in which you would like to sell the wine. I have also included a link to the TTB website for your reference. Good luck and please let us know if you have any other questions. Hi Shapiro: this is very helpful. We are actually interested in importing wine from Spain in bulk (i.e. not in bottles) for purposes of making a craft aperitif such as Vermouth. Spain exports bulk wine and at a very competitive price but we are still trying to figure out the pricing (between cost of the wine, duties, taxes, and shipping) but are having trouble trying to figure out the shipping methods, times and costs. Any advice on this? Thanks! Your blog and information herein indeed come appreciated and helpful. We intend to import south African wined into the USA and have just started working out these moderlities. Kindly advise if you can, do we need to find buyers before we pursue the permits and subsequent import? Is there any assistance you may give in terms of advise on how to push our wine into the market? South Africans make good wine and there are indeed a few of their wine in the usa market. Your input will be appreciated. Thanks again. We’re glad to hear the content was helpful for you! It would be a good idea to have a plan in place as to how you will sell the goods prior to importing. You can always store the products until a sale is made, but we recommend that you discuss options with possible vendors or distributors in the U.S. prior to beginning the importation of the wine. Hi Cloin, thank you for the great info. I’m also interested in importing wine from Italy to California as a distributor only. My question is, can I apply to the distributor license without establishing a company (s corp, LLC…), just getting the EIN or do I have to first establish the company? We’re glad you liked the information! You will need to check on the state laws that govern wine distribution to ensure your operation is set up properly. From an importing standpoint, you can use an EIN to be compliant with Customs, but regulations on wine/alcohol distribution vary from state-to-state. Good luck and please let us know if we can help in any way. We are halfway through the above process, to make sure we are covered before we start importing. However. We are looking for a Prosecco vineyard in Italy, that we can add our own twist of flavour to during the bottling process. Do you have any tips on reaching out, and who to look at contacting? Thank you so much in advance. Unfortunately supplier/sourcing recommendation is not in our scope of services. We apologize for the inconvenience and wish you the best of luck. Please don’t hesitate to contact us with any further questions. What is a customs continuous bond? What does it do, how do I acquire and from where? We have included two links below that cover what you need to know about continuous bonds.